As part of our mission to bring world-class talent to Hannibal, Bluff City Theater is proud to present the incomparable Tom Chapin in an intimate show at Roland Performing Arts Center at HLGU. “An Evening with Tom Chapin” takes place at 7:30 p.m. on Saturday, February 9th. 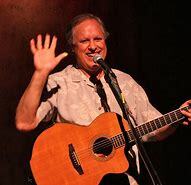 The brother of the late, great Harry Chapin, Tom has had a storied career as a musician, songwriter, recording artist, tv star and actor on Broadway and in film. In this intimate performance, he’ll share his personal stories from five decades of performing interspersed with original music, classic folk favorites and selections from The Harry Chapin Songbook. Celebrate an early Valentine’s Day with the love of your life in this uplifting and memorable experience. Tickets are still available in all price ranges- from $27 to $42. or call the box office at 573-719-3226.